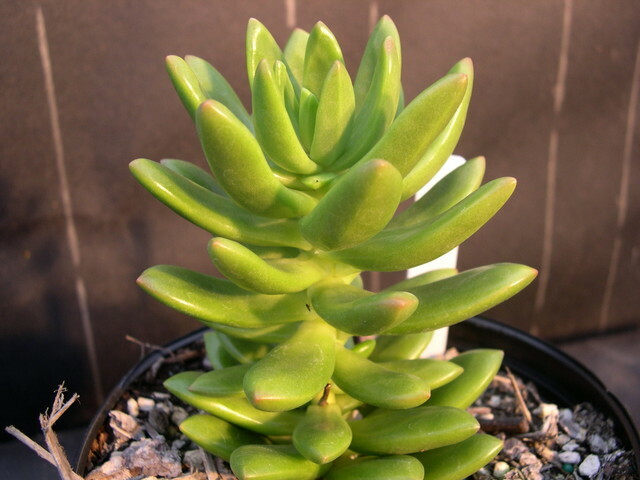 Smooth, succulent, glossy green leaves cover the 9 inch long stems and are reluctant to drop, making this a species that has staying power in the 'attractive' department. The white flower clusters sprout out of the ends of the stems. The carpels turn bright colors making the overall blossom color appear pink. Good hanging basket specimen. From Mexico.